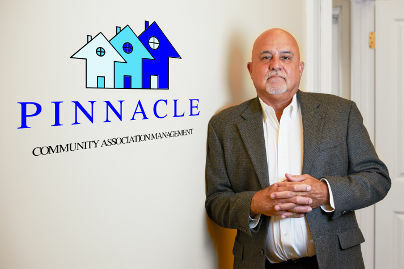 Mr. Hamilton started Pinnacle Community Association Management in 2017, after 25 years in a very employee centric service industry. Working with Boards of Directors, Association Management Companies and Community Association Managers since 2006 Jason encountered a very mediocre field of service providers and saw an opportunity to create a different type of Community Association Management company. He created Pinnacle along with his partners Heather Hamilton and Amy Pacella to raise the level of professionalism, experience and service excellence to the industry. Jason holds a Bachelor of Science Degree in Criminal Justice from the University of Wisconsin and has a Master’s Degree in Business Administration from the University of South Florida. He has over 25 years of experience in customer service, specifically in Security Services, Loss Prevention and Risk Management. This expertise includes financial and business management, safety and security operations, employee training, asset protection, risk management security consulting. His experience has come from a variety ownership and management roles with small and large corporations alike, that included: ALERT Protective Services, Harley-Davidson, Briggs & Stratton, Target Corporation, JCP Company Inc., Securitas and Allied Universal Security Services, working both directly for and servicing them as clients. 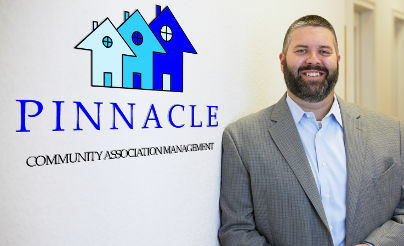 Mr. Hamilton’s primary role with Pinnacle Community Association Management focuses on marketing, business growth and back office support. To ensure this knowledge is relevant to an ever-changing security landscape, all CPP™’s must be recertified every three years by exhibiting a combination of community activities, industry participation and continuing education. Jason is also a Licensed Community Association Manager (LCAM) as provided by the Department of Business and Professional Regulation. Both he and Pinnacle are active members and Silver Sponsors for CAI – West Florida Chapter. In addition, he has been an active member of ASIS International since 1997, obtaining his (CPP™) certification in 2007. Jason has served the community as a past member and board member of the Stoneybrook At Venice Community Development District and an instructor at the Longboat Key Education Center. Heather Hamilton joined Pinnacle Community Association Management at its start as its focal Community Association Manager, with over 25 years in the service industry including 6 years in the Community Management industry. Within these 25 years of customer service, Heather has a background in banking and hospitality, specifically in expense control and budgeting as well as hiring, training and team building. In the 6 years in the Association Management Industry, Heather has experience including as an onsite/dedicated Community Association Manager, Portfolio CAM and as a Corporate Community Association Manager position with a territory from Orlando to Naples. Overall her experience with US Bank, LaQuinta Inn & Suites, International Hotel Group and the Hilton Hotel Group has led to a customer service driven philosophy focused on the need for a new level of service in Association Management, with rapid response times, frequent and professional communication, and knowledge when the Board of Directors needs answers. After working for two large local management companies Heather found a lack of customer service in the industry that Pinnacle could fulfill with professionalism, experience and service excellence. Her experience ranges from homeowner controlled established homeowners’ associations and condominiums to developer-controlled Golf and Country Clubs communities with amenities including tennis courts, swimming pools, playgrounds, bocce courts and small and large Clubhouses. Heather has worked with one of the largest home builders in the country as well as other well-known builders in Florida. She has a vast network of service partners as a result, including insurance professionals, water and mold remediation experts, engineers, attorneys, landscapers and handymen. 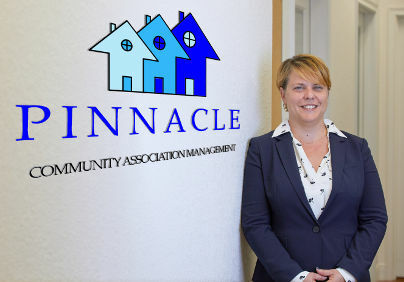 Heather has been a member of Community Association Institute (CAI) since 2012 where Pinnacle Community Association Management is also Silver Sponsor. Rick joined Pinnacle Community Association Management in July 2018 as a partner, shortly after the company’s acquisition of Markel Management. With over 24 years of accounting experience, Mr. Fathauer has worked directly with some of Sarasota’s most distinguished companies as their CPA, having also worked with Mr. Hamilton’s previous company, ALERT Protective Services, as well. license Rick has completed the required 80 hours of continuing education courses over each two-year period. Rick is also a member of the Florida Institute of Certified Public Accountants. Mr. Fathauer has 24 years of public accounting experience. During the majority of his career, Rick has managed the bookkeeping and tax department for a local CPA firm and has recently started his own firm. Rick has a wide range of experience, including HOA and Condo Association accounting. He has assisted in the auditing of many Associations, as well as the preparation of the year-end tax returns. This type of experience will ensure that each of Pinnacle’s clients receive accurate and timely financial statements that are critical to the decision making and planning process of the Board of Directors.